This weekend we had so much fun celebrating our 7 year wedding anniversary, which is actually today! Yesterday morning we went to the North Market and got some yummy donuts + a juice. We love just walking around and then taking the boys to a park nearby after. My parents are currently in Alaska, so even though we knew going out to a nice dinner may be a little less relaxing and a lot more rowdy with our boys in tow, we decided to give it a go. Dinner out with 2 kids is MUCH harder than it is with 1, especially because Grayson wants to be eating something CONSTANTLY! He doesn't stop...I swear. ha. 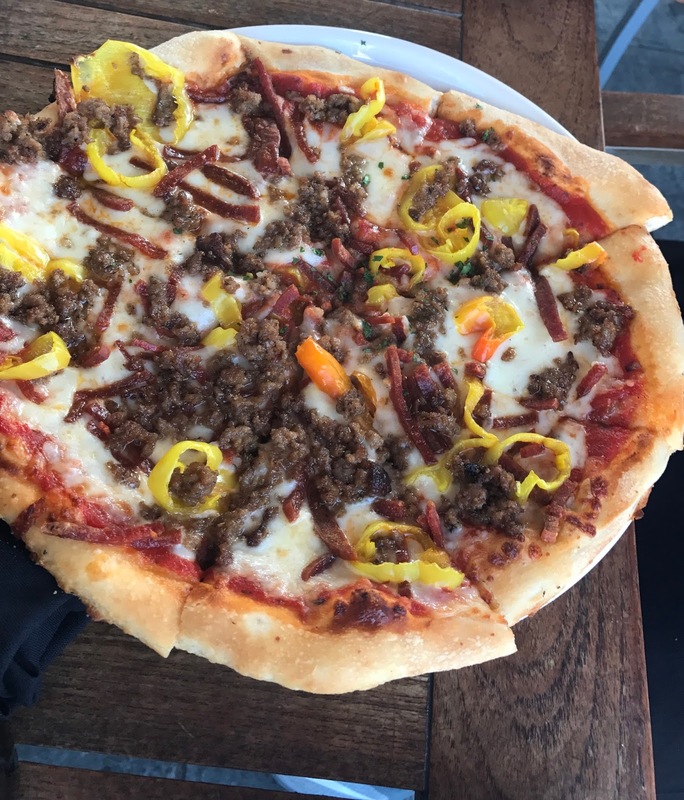 We went to Milestone 229 and all our food was delicious! We got pizza, calamari, and spare ribs...loved them all. We come here often because it has a huge patio and it is right next to a big splash park//fountains that the boys really like to go to. We leave in a few weeks for our trip to California so we will really be able to celebrate (aka not scarf down our food in 5 minutes) then! 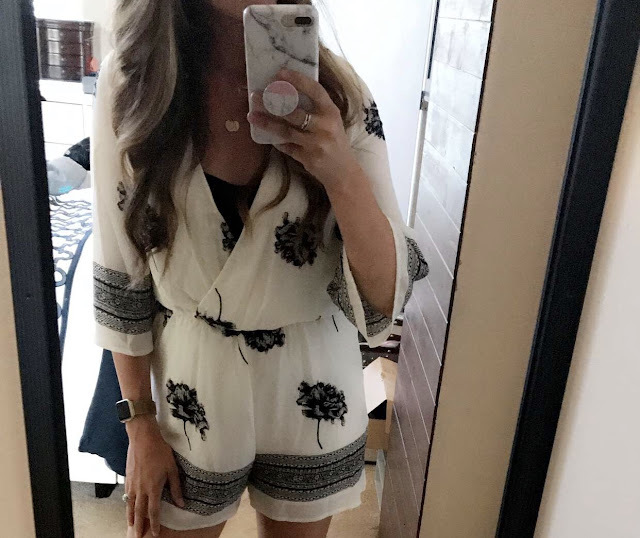 I wore this romper (also obsessed with this one + this jumpsuit) and these Jack Rogers sandals. The sandals are currently on sale for $39, normally $49! Happy Anniversary Billy! I love you so much and am so thankful to have you by my side for good times, bad times, and especially all the awesome memories we've created over the years. Thank you for the being the best spouse + daddy!